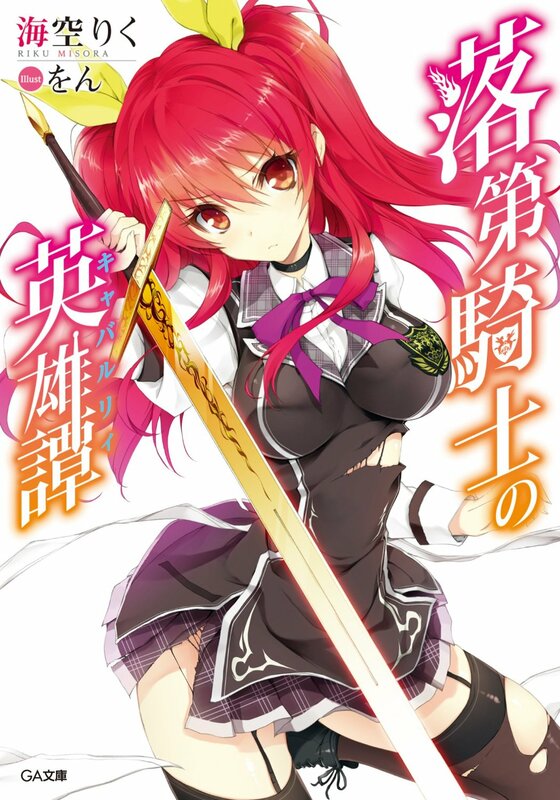 Earlier this year it was announced that the light novel series, Rakudai Kishi no Cavalry (A Chivalry of the Failed Knight) would be receiving an anime adaptation. Later on the 1st PV was released for the adaptation revealing some of the voice cast as well as key members of the staff. In case you have not seen the 1st PV before you can now see it below. Along with the main cast we learned some of the staff members who would be working on the adaptation as well as which studio would be taking the project. SILVER LINK would be adapting Rakudai Kishi no Cavalry into a TV anime. Some of SILVER LINK’s works include Fate/kaleid liner Prisma Illya, Baka and Test, Dusk Maiden of Amnesia, Non Non Biyori, Strike the Blood, Invaders of the Rokujyouma? !, and Chaos Dragon. Collaborating with them on the adaptation will be Nexus. Their works include Santa Company and Wakaba Girl. Directing will be Shin Oonuma who worked on Fate/kaleid liner Prisma Illya, Baka and Test – Summon the Beasts, and WATAMOTE. Serving as series director will be Jin Tamamura. Tamamura worked on Invaders of the Rokujyouma. Penning the scripts is Shoko Yasugawa. Yasugawa’s previous works include Food Wars! Shokugeki no Soma, Hyperdimension Neptunia and Terraformers. Sei Komatsubara is in charge of the character designs and Jin Aketagawa of Magic Capsule will be the sound director for the series. Now the official website has released a brand new PV for Rakudai Kishi no Cavalry. This PV introduces some more voice cast members. The PV can be seen below. Not only were more cast members introduced but we also learned who would be performing the ending theme song for the adaptation. Ali Project announced, on their official website, that their song “Haramitsu Renge” would be used as the ending song for Rakudai Kishi no Cavalry. “Haramitsu Renge” will also serve as the title for their new single which is set to release on October 21. Rakudai Kishi no Cavalry is a light novel series authored by Riku Misora and illustrated by Won. The light novel began publication on July 15, 2013. It is published by SB Creative under their DA Bunko imprint. The light novel currently has 7 volumes out right now. The light novel received a manga adaptation in April 2014. The manga is illustrated by Megumu Soramichi and it is published by Square Enix in their Monthly Shonen Gangan magazine. The manga currently has 3 volumes released. The TV anime adaptation of Rakudai Kishi no Cavalry will premiere in October in Japan. It will be showing on TV-TOKYO, AT-X and other channels. If you’re interested in the series please check out its official website here.